Carmenita Truck Center has the best selection of New, Used, or Custom CNG Trucks! 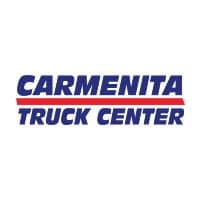 Carmenita Truck Center has an immense inventory of road ready and cab & chassis trucks ready for outfitting. Get excellent mileage, lower gas prices, and tax benefits with a CNG truck. We can build one to fit your specifications – call us today! Just like oil, CNG is drilled out of the ground. In fact, many of the same wells that have oil also have a lot of compressed natural gas. The advantage to extracting the natural gas is that it is easier because it is a gas – there is less processing required to get it out of the ground. However, this also makes it a bit more difficult to transport. As a gas, you can’t just put it into a 55 gallon drum and ship it across the world. There are two main options for shipping natural gas – in a pipeline or by compressing it first into compressed natural gas (CNG) or liquefied natural gas (LNG). We have years of experience in building custom bodies for our clients and we work with some of the best in the business. All of our Ford F-Series can be equipped with CNG (Compressed Natural Gas) tanks. So give us a call today and we will work with you on building the perfect CNG truck for you! CNG Trucks Built By Carmenita Truck Center. We Can Build Yours Too!